The Carrington has 2 front proches and a covered back porch. 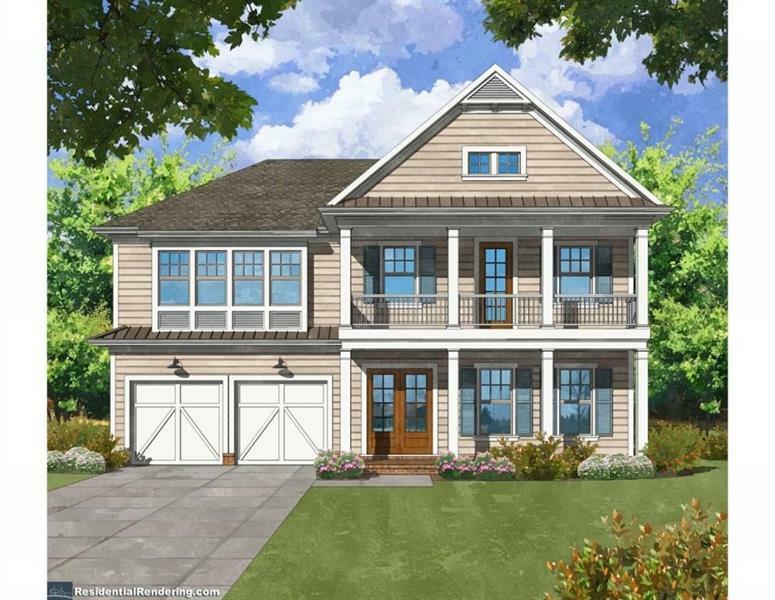 Charming Charleston style home w/ open concept living space and formal diningroom-Option for guest bedroom or study on the main floor. 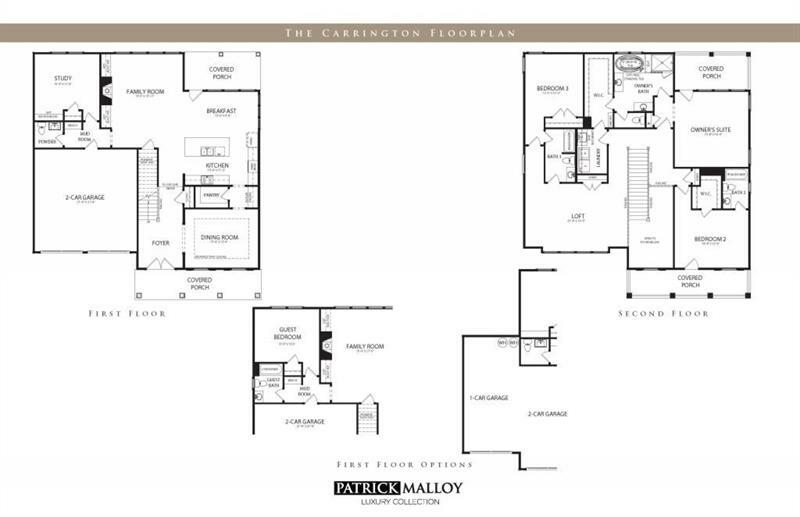 Two story foyer upper level opens to a spacious loft area w/ laundry upstairs. Option for back garden of your choice. 5 styles to choose. Pebble side walks and drivewary, gas lanterns, private courtyard. Close to Historic Roswell and the Chattahoochee Nature Center. Carrington-Hillindale.